Groin Strain - Why does this happen? The hip adductor muscles (groin muscles), are a group of six muscles which run from the bony prominence on the pelvis, in the groin, to the inside of the knee. These muscles help to stabilise the pelvis during activity. Groin Strain is a tear in one or more of the hip adductor muscles at the point where it meets the pelvis. This is often due to overstretching or repeated stress of the muscle fibres. This injury is often and is associated with a powerful sideways movement. The muscle will repair itself with scar tissue which is not as flexible as muscle tissue and may tear again. Muscle imbalance between the quadriceps and hamstrings, weak core muscles, poor warm up and tight adductor muscles may also be contributing factors. Pain and tenderness in the groin and inner thigh. Pain is worse on exercise particularly sideways movements of the leg. A change in walking pattern as a result of the pain. 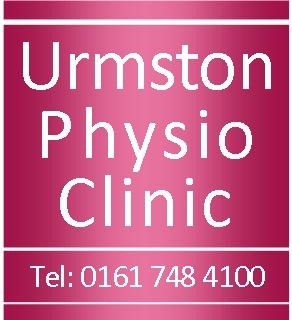 Your GP or Physiotherapist can usually diagnose a Groin Strain by simply examining your leg and hearing where the pain is and how it started. Groin Strain will usually recover with some simple changes to daily activity and exercise. By trying to avoid or reduce the activity which causes the pain, you will allow the damaged muscle time to recover and heal. While it is important to stop activities that make the pain worse, to let the muscle recover, you must not stop using the muscles. Muscles need some activity to keep them healthy. Modifying activities to incorporate less strenuous ones, such as swimming instead of running, is important to aid recovery. During the initial painful stages it is important to manage the pain. Exercise - Exercise is important to help regain full ankle movement in the acute stage. Once the pain has settled it is important to strengthen the surrounding muscles and work on your balance to help prevent reoccurrence. Click here for a list of exercises suitable for Groin Strain. Surgery - This is not common for Groins Strain. In some cases when symptoms are persistent surgery may be considered. Remember an important part of treatment for Groin Strain your home exercises and modifying activities.